Having made satisfaction to God, we must then make satisfaction to our neighbour for the wrong which-either in his body or in his soul — we have done him. I say that it is possible to wrong him in his body, that is to say, in his person, by attacking him either by injurious or insulting words or by bad treatment. If we have sinned against him by injurious words, then we must apologise to him and make our reconciliation with him. If we have done him some wrong by belabouring his animals, as sometimes happens when we find that they have been doing damage among our crops, we are obliged to give him all that we have been the cause of his losing: -we could have got compensation without maltreating these animals. If we have done any harm, we are obliged to repay as soon as we can, otherwise we will be gravely at fault. If we have neglected to do that, we have sinned and we must confess it. If you have done wrong to your neighbour in his honour, as, for instance, by scandalous talk, you are obliged to make up by favourable and beneficent talk for all the harm you have done to his reputation, saying all the good of him which you know to be true and concealing any faults which he may have and which you are not obliged to reveal. If you have calumniated your neighbour, you must go and find the people to whom you have said false things about him and tell them that what you have been saying is not true, that you are very grieved about it and that you beg them not to believe it. But if you have done him harm in his soul, it is a still more difficult thing to repair and yet it must be done as far as possible, otherwise God will not pardon you. You must also examine your conscience as to whether you have given scandal to your children or to your next-door neighbours. How many fathers, mothers, masters and mistresses are there who scandalise their children and their servants, by not saying their prayers morning or evening or by saying them when they are dressing or sitting back in a chair, who do not even make the Sign of the Cross before and after a meal? How many times are they heard swearing, or perhaps even blaspheming? Consider, too, whether you have ever taken anything from a next-door neighbour and neglected to pay it back, whether you have neglected to give some alms which you had been told to give or make some restitution which your parents, who are dead, should have made. If you wish to have the happiness of having your sins forgiven, you must have nothing belonging to anyone else, which you should and could pay back. So if you have sullied your neighbour’s reputation, you must do all in your power to repair the damage. You must be reconciled with your enemies, speak to them as if they had never done you anything but good all your life, keeping nothing in your heart but the charity, which the good Christian should have for everyone, so that we can all appear with confidence before the tribunal of God. One Minute Reflection – 28 March – A divided household falls. PRAYER – Lord God, You love innocence of heart and when it is lost, You alone can restore it. Turn then our hearts to You and kindle in them the fire of Your Spirit. Lead us to purity of heart, that we may be true radiant lights of Christ and no longer spread the darkness of unkindness, jealousy, gossip and may we atone for our sins. May Your Word take flesh in our lives and Your Truth shine forth in our actions. 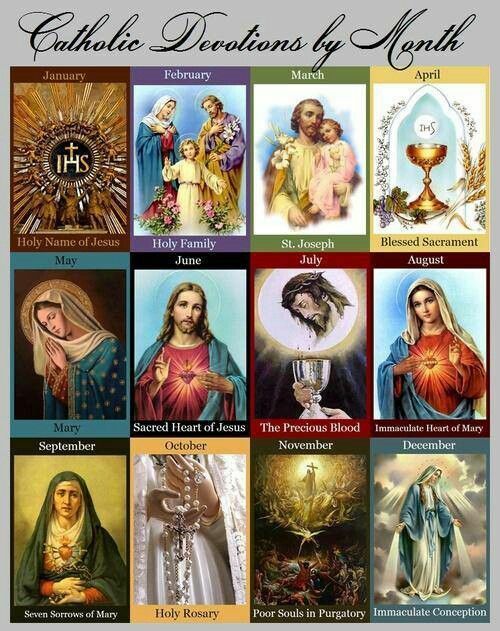 Mary, Blessed and Merciful, the Refuge of Sinners, help us! Through Jesus Christ our Lord and Saviour, with the Holy Spirit, one God forever, amen. You have been crucifying Our Lord! We come to confession quite preoccupied with the shame that we shall feel. We accuse ourselves with hot air. It is said that many confess and few are converted. I believe it is so, my children because few confess with tears of repentance. See, the misfortune is, that people do not reflect. If one said to those who work on Sundays, to a young person who had been dancing for two or three hours, to a man coming out of an alehouse drunk, “What have you been doing? 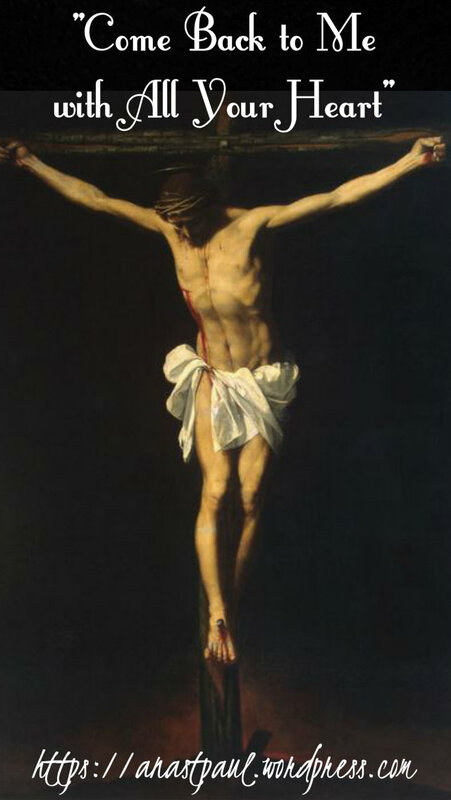 You have been crucifying Our Lord!” they would be quite astonished, because they do not think of it. My children, if we thought of it, we should be seized with horror; it would be impossible for us to do evil. For what has the good God done to us that we should grieve Him thus, and put Him to death again — Him, who has redeemed us from Hell? 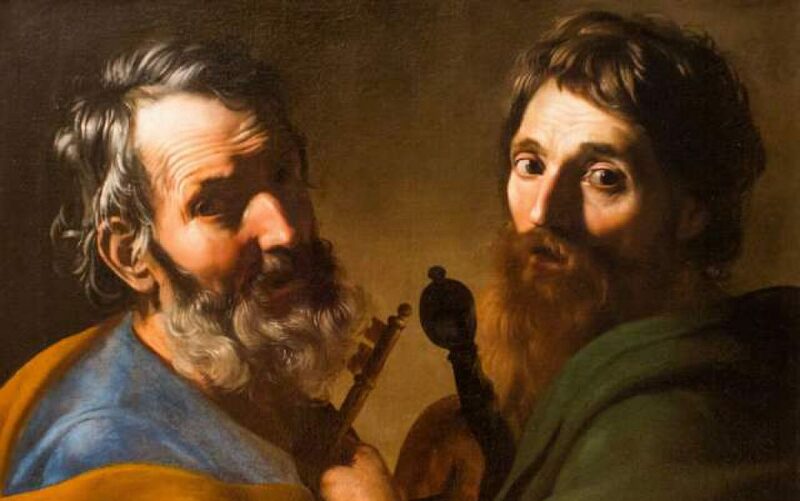 It would be well if all sinners, when they are going to their guilty pleasures, could, like St Peter, meet Our Lord on the way, who would say to them, “I am going to that place where you are going yourself, to be there crucified again.” Perhaps that might make them reflect. “But, O ye sons and daughters of men, what if this fair weather but ensure the storm afterwards? what if it be, that the nearer you attain to making yourselves as gods on earth now, the greater pain lies before you in time to come, or even (if it must be said), the more certain becomes your ruin when time is at an end? Come down, then, from your high chambers at this season to avert what else may be. Sinners as ye are, act at least like the prosperous heathen, who threw his choicest trinket into the water, that he might propitiate fortune. Let not the year go round and round, without a break and interruption in its circle of pleasures. Give back some of God’s gifts to God, that you may safely enjoy the rest. Fast, or watch, or abound in alms, or be instant in prayer, or deny yourselves society, or pleasant books, or easy clothing, or take on you some irksome task or employment; do one or other, or some, or all of these, unless you say that you have never sinned and may go like Esau with a light heart to take your crown.